Brexit minister David Davis said on Tuesday that reaching a deal with the European Union was the most likely and the best outcome of talks, but that the British government was also prepared for no agreement with the bloc. 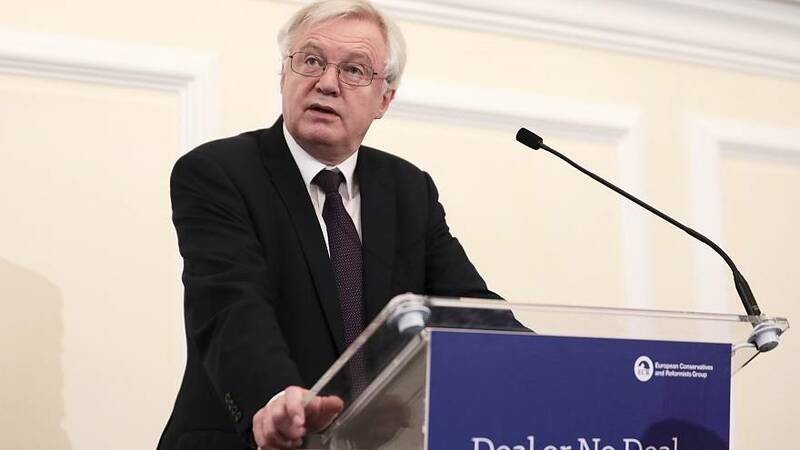 “Behind the headlines that scream of deadlock and impasse, in reality we’ve made real and tangible progress in talks so far,” Davis said in a speech in London. Davis did not comment on the size of the divorce bill the UK is ready to pay the EU, but media reports suggest the government is ready to double its offer to around 40 billion euros. The European Commission has said it should be about 60 billion euros. Ahead of a Dec. 14-15 summit, Britain wants to move discussions on to the future trade relationship with the EU, which Brussels will not consider until London settles what it sees as past debts. “We are ready to move on to Phase 2, to see those talks about a deep and special partnership with the EU for the future, a comprehensive trade agreement with the EU for the future, I think that’s in the interest of the UK and in the interest of the remaining EU 27,” Prime Minister Theresa May said on Tuesday. Many in her governing Conservative Party want the UK to leave the talks, feeling the EU is holding the country hostage over money, which they want to spend at home rather than abroad. In another sign of goodwill, May met with the main political leaders of Northern Ireland. The province has been without a government for nearly a year now and there’s fear a return to border checks after Brexit could undermine the peace process. May said she believed in a deal to restore a power-sharing government and wanted more talks to be held next week. Northern Ireland’s two main parties have to hammer out a new agreement or move a step closer to direct rule from London.